The State Water Resources Control Board (State Water Board) has approved a new General Order to simplify the permitting process for recycled water projects, advancing the state’s goal of increasing recycled water use statewide. This new Order, approved Tuesday, will encourage more recycled water projects by providing a single permit that can be used across Regional Water Quality Control Board boundaries. It also establishes conditions for recycled water use and gives authority to an administrator to issue recycled water permits to users. Expanding water recycling is a key component of the state’s efforts to increase regional self-reliance under the California Water Action Plan, Governor Edmund G. Brown Jr.’s roadmap for sustainable water management. The General Order, which will be administered by the nine Regional Water Boards, applies to the use of treated municipal wastewater for irrigating landscapes and crops; dust control; industrial and commercial cooling; decorative fountains and other uses on a case-by-case basis. The Order does not cover potable reuse projects. The order affirms recycled water as a resource by permitting its use through water recycling requirements as opposed to waste discharge requirements. The Order replaces the General Waste Discharge Requirements for Recycled Water Use from 2014. Those requirements from 2014 will expire after 60 days. With the adoption of the Order, any existing permit for recycled water use approved under any of the nine Regional Water Boards’ specific regional General Order requirements will remain in effect for three years. Recycled water permittees must be under the State Water Board’s recycled water General Order, or a new individual permit, once the three-year period ends. Adoption of the Order is one more step toward the goal of substituting as much recycled water for potable water as possible by 2030. Under the State Water Board’s Policy for Water Quality Control for Recycled Water (Recycled Water Policy), recycled water use should increase by at least one million acre-feet per year from 2002 levels by 2020, and reach two million acre-feet per year by 2030. 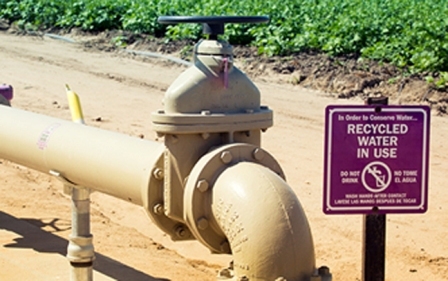 In the latest data from 2009, recycled water use came in at 669,157 acre-feet per year. For more information on the new General Order, see the Water Reclamation Requirements for Recycled Water Use webpage and the frequently asked questions section.